Home Headlines KULT Divinity Lost shipping now! KULT Divinity Lost shipping now! 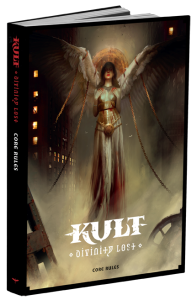 Today we’re really pleased to announce the final release of a raft of KULT: Divinity Lost books, supplements and accessories, in this remake of the cult classic RPG originally released in the Nineties. The Black Madonna is a legendary KULT campaign previously unreleased outside of Sweden and France. Its six separate episodes lead the player characters into a haunting adventure connected to the Death Angel Chagidiel and the Archon Binah. Taroticum and Other Tales contains seven stand-alone scenarios for KULT: Divinity Lost, set in different times and locations and explore different parts of the mythos all designed to be quick and easy to pick up and play. The Archetype Bundle for KULT: Divinity Lost contains reference sheets for the 25 Archetypes available in the game for easy access during character creation. In addition, the bundle includes 6 reference sheets detailing the basic Player Moves as well as 6 blank character sheets. 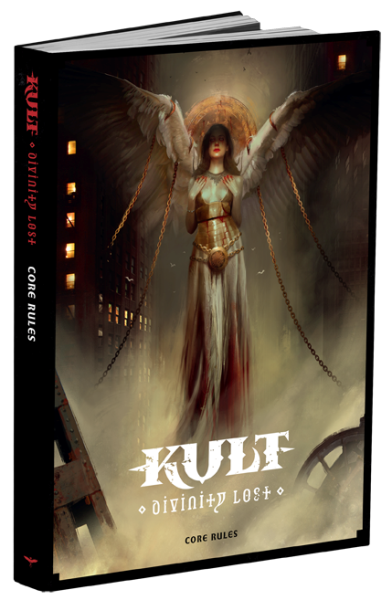 The Reference Deck for KULT: Divinity Lost consists of 55 cards, detailing weaponry, gear, and the Basic Moves, in multiple copies. The deck can be used by players and gamemasters alike, for quick and easy access to the most fundamental parts of the game. Tarot Cards for KULT: Divinity Lostconsists of 68 cards, rich in symbolism and designed specifically for the KULT mythos. The deck is used by the gamemaster to – through readings – create plots, antagonist, locations, and allies for when planning a campaign. It can also be used in-game when introducing new locations and characters in the heat of the moment. Completing the lineup is The Gamer Fan Pack for KULT: Divinity Lost (available soon) which consists of a cloth bag with the Sephirot and Qliphoth motif, as well as a custom pin with the Kult Sephirot symbol. Suitable for carrying your KULT: Divinity Lost books and accessories.